Brazilian know-how, for a Brazilian instrument! 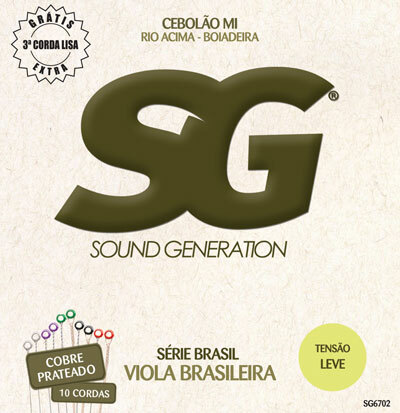 SG Strings for Viola Caipira: The nucleus (core) is tinned steel wrapped with silvered copper. The primary strings are of tinned steel.